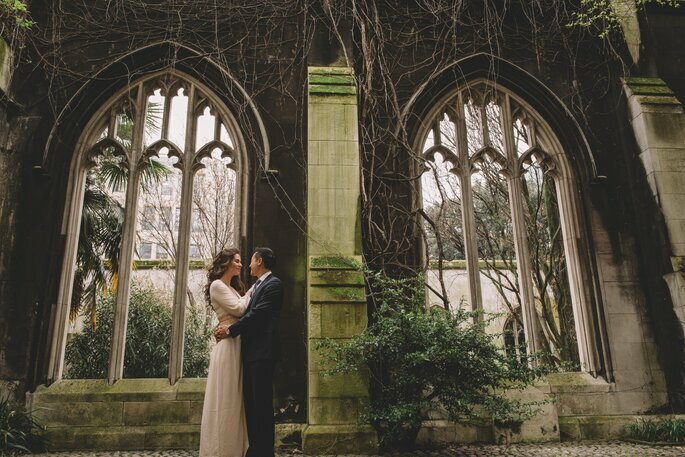 Emma-Jane Lewis at Emma-Jane Photography is a wedding and fashion photographer with years experience, and plenty of style to boot! 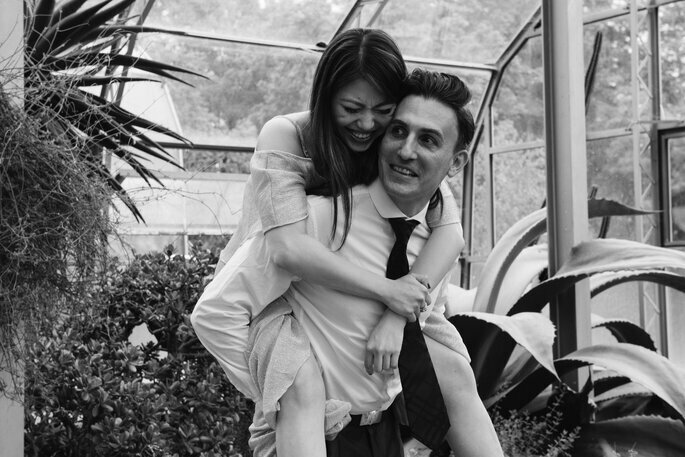 An accomplished photographer – who was recently named one of Zankyou’s Top 10 in the UK – Emma-Jane is in the best position to advise you on hiring photography services for your wedding. 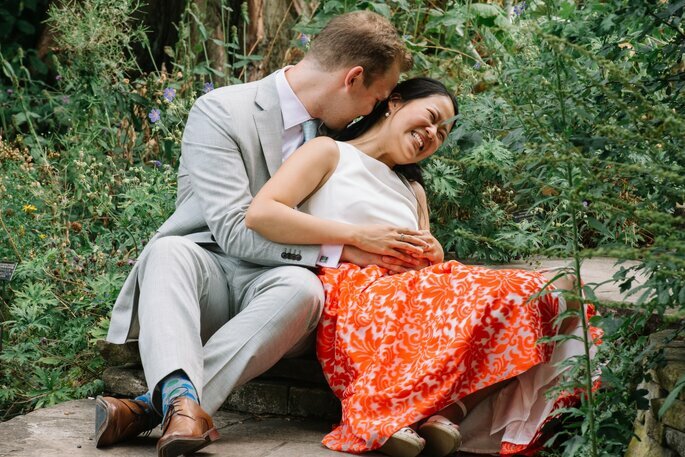 But beyond the big day, have you considered an engagement shoot? Read on to hear her expert opinion and advice on the subject! 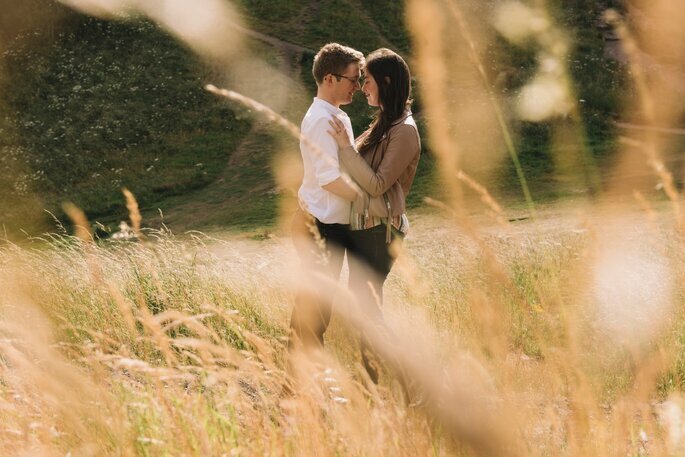 Engagement shoots… these can often strike fear or happiness in most of my couples! They can be like marmite… but they can often be a very good idea! The photographer is one of the largest suppliers on your list. They will be there from very early on in your wedding day journey. From the first meetings, doing an engagement shoot, creating wedding day schedules and photo lists, supporting you on your wedding day, choosing image, creating albums and the final delivery. Often a way to ease into this relationship is through an engagement shoot. However it might not be for everyone; some people might be feeling quite confident, and some may just really not want one. So I designed packages that have the engagement shoot included on larger packages but these can be removed if required… no stress! So here are a few pointers as to why they are a good idea. Being in front of the camera can be hard. Some people take to it easier than others! But it’s all about warming up to this. 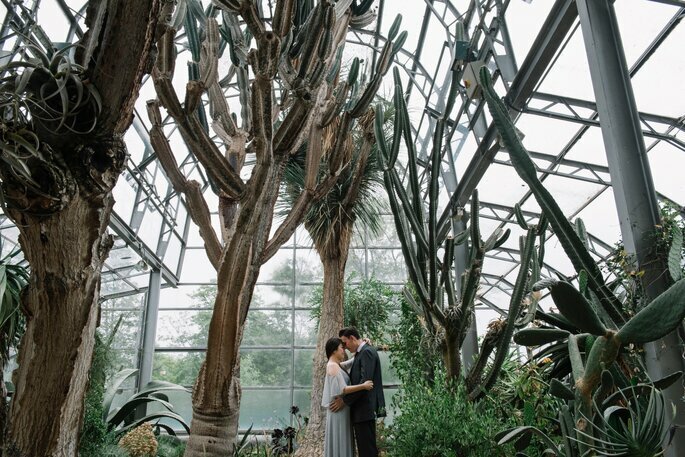 To avoid having to have another thing to worry about doing on your wedding day, having the warm up on an engagement sessions means you know exactly what will happen. The first 20 minutes of an engagement shoot could be awkward for a couple, but by the end this becomes much easier. Building that confidence in front of the camera means the wedding day will be more stress-free rather than stressful in terms of wedding photos, and being around me as a photographer. I get my couples to feedback to me after engagement sessions – what worked for them, what did not. And once they have seen the images, they can send me over their preferred angles and positions. This allows me to take this information forward to the wedding day itself and nail shots that you will love. I often roll the engagement shoot into doing the consult with couples. So this starts by going through the wedding day outline and preferred shots, and then we go into the engagement shoot. This allows me to build trust with my couples. But it also allows them to get to know me: my way of talking, my way of directing and what is expected of them too. Leading on from the above point… the session allows you to build that trust. Once they get to know me, on the wedding day I am often who they look to fix things and lead them. Being a photographer means we have to lead a lot, and we often become a glorified wedding planner on the day – helping to pull schedules forward, and leading the wedding party where they need to go. Because hey… I have done this hundreds of times! But if we didn’t have the engagement session, a couple might be less included to follow my lead and allow me to help them. Often I am that friendly face in a sea of suppliers that they trust implicitly. It’s lovely to have that level of confidence from a couple. Often you might hear your photographer talking about best locations, best lighting for the times of day… and my old favourite… “golden hour“. These are the best ways to photograph. 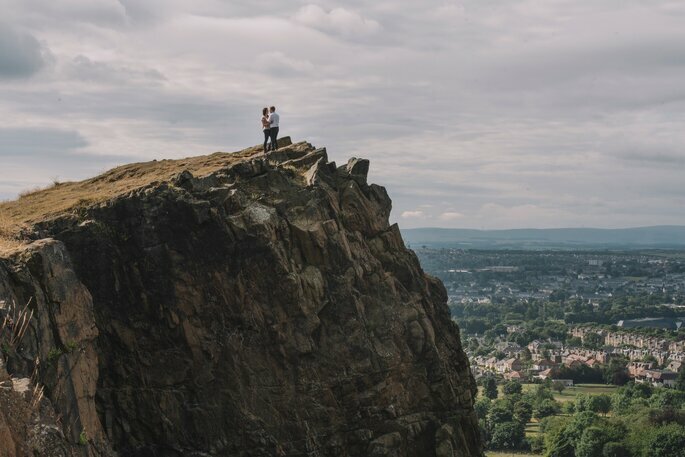 So often when couples see the engagement shoot images, things just ‘click’ in their heads as they understand why we like these lighting conditions, those angles and that silly request that we asked you to do at the time… which sounded silly… but in a shot is EPIC. So then my couples understand what I need to be able to produce great images for them. 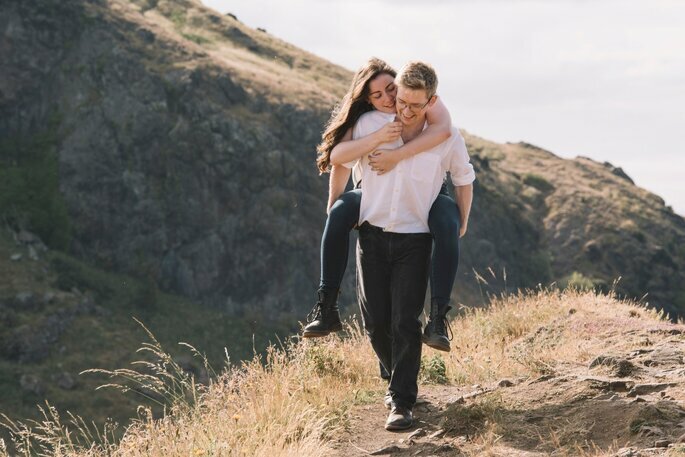 These are just a few points, but there are so many other reasons why engagement sessions are a good idea. Above all, it is about trusting your photographer to capture the best moments of your day, and nothing less! Take a look at some of my work on my website, and let me build confidence in your wedding photography. I Will Video: Why Having a Videographer is a Great Idea!